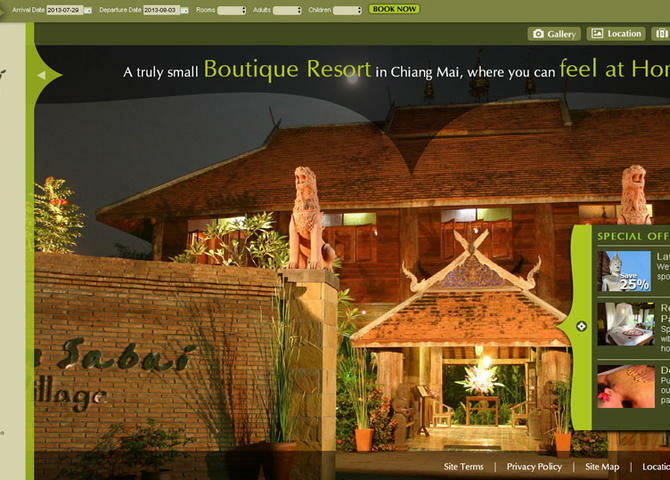 The Ban Sabai Village Resort & Spa in Chiang Mai (Thailand) is a truly small boutique resort and spa. Our spa offers a large variety of treatments including Thai, aroma oil, herbal, facial and foot massages, aroma therapy, body scrubs and masques and hot stone therapy. These treatments can be booked à la carte, in packages or as complete spa holiday packages. The Ban Sabai Village also offers a variety of yoga, rejuvenation and detoxification packages. Visit Ban Sabai Village Resort & Spa - Chiang Mai, Thailand.